We're committed to your privacy. HackIT uses the information you provide to us to contact you about our relevant content, products, and services. 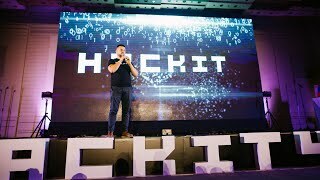 HACKIT FORUM is aimed to become a place for strong security networking gathering of professional tech developers and leading security experts. New knowledges, best solutions, ideas sharing, unique opportunity to take part in methodology creation and much more. Check it out. Subscribe to get your exclusive 50% discount for HackIT 5.0! All details in welcome letter!